Findings from a Centre on Innovation and Energy Demand (CIED) study on the Smart Meter Implementation Programme have revealed communication problems are hampering the rollout. The programme is the most ambitious and expensive IT operation ever attempted by the UK government, but the researchers found that lack of public engagement with the scheme could be as damaging to its success as any technical problems encountered. This is despite a £100m campaign to sell the benefits of smart meters to consumers. The UK government originally intended to install smart meters – which help households and energy companies keep a more detailed watch on energy use – in every home and small business by 2020, leading to a 5-15% reduction in energy reduction to help address the UK’s carbon emissions commitments. Researchers now argue that the scheme – launched in 2009 – will struggle to meet its targets and that the actual energy savings achieved may not justify the expense of the rollout. The CIED team’s research findings suggest that engaging the public with the programme and working to help people understand the benefits of smart meters is as important as the technical and logistical challenges. 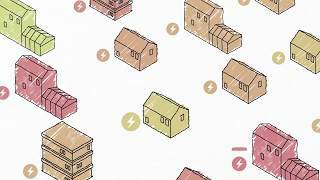 This ties in with CIED and the other End Use Energy Demand (EUED) Centres’ socio-technical approach to the challenges of reducing energy demand. The findings are reported in the paper ‘Vulnerability and resistance in the United Kingdom’s smart meter transition‘ available from the Energy Policy journal (until the end of September). The paper is co-authored by Professor Benjamin K. Sovacool, Dr Paula Kivimaa, Dr Sabine Hielscher and Dr Kirsten Jenkins.